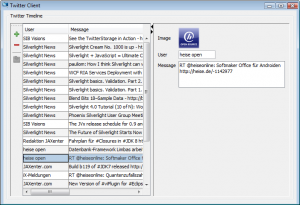 We have a lot of useful features in JVx. It is very easy to develop multi tier applications, two tier applications or simple desktop applications - started as RIA, Web or Standalone application. Every tier is technology independent and does not require third party frameworks. We can use every useful framework to create business logic. After 290 lines of code we were finished. The standard RemoteDataBook works perfect with the new Storage (full support for filtering, sorting, master-detail relations). 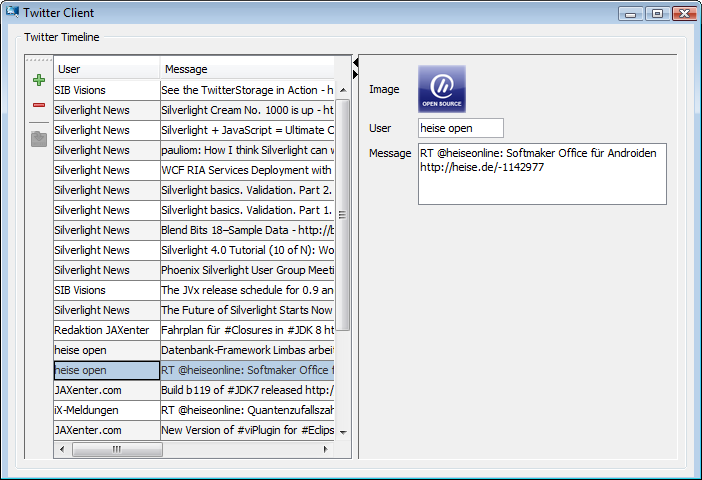 The last release of JVx - 0.8 - was published on 11th October. But when is the release date of JVx 0.9 and later? GA release cycles of 6 months. We don't publish alpha versions/nightly builds. Beta versions every month (no fixed intervals). The first beta version of the next release will be available 1 month after the last GA release. Developer builds are possible with the source code from our repository (ant build files are included). This is our current schedule. We are open for discussions to optimize our approach. Wenige Tage nach der Prämierung wurde nun ein kurzer Bericht über die Veranstaltung, vom Veranstalter GEWINN, verfasst. We made it to the top 40! 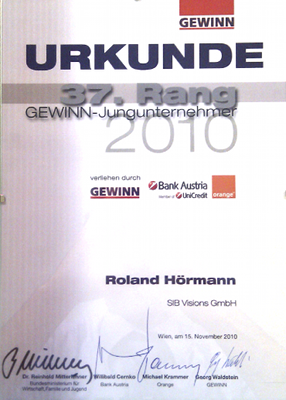 SIB Visions GmbH reached the 37th place of the contest "GEWINN Jungunternehmer Österreich - 2010" from 1000 submissions! Our Open Source Project "JVx - Enterprise Application Framework" has made it possible!